PACKING SERVICE - Pro Packers to pack your entire house or "just the fragiles"
LOADING SERVICE - Pro Loaders to efficiently load your rental truck, trailer, etc. 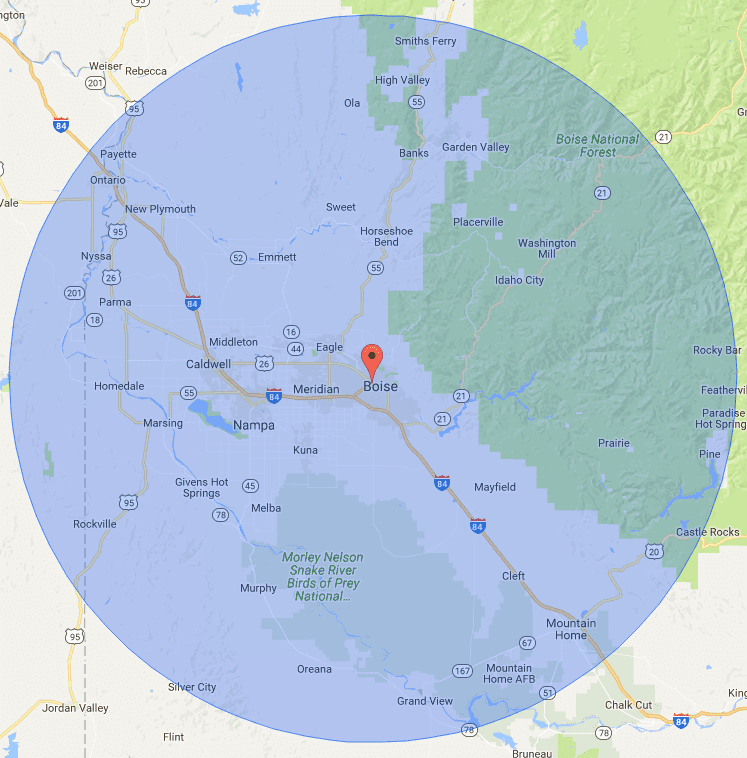 The shaded circle above gives you a rough, ballpark idea of the locations that would fall into the category of "Local Move" from the center of Garden City, Idaho. IMPORTANT NOTE: The actual mileage used in calculating whether a move is "local", or not, comes from Google Maps and uses your exact addresses (both, origin and destination) to determine distances. Any destination address within 50 miles ("as the crow flies") of your actual origin address, would be a Local Move. QUESTIONS ABOUT YOUR UPCOMING MOVE?